Once standing on the old Bridge Plaza (now the site of the War Memorial Center), the Abraham Lincoln statue was commissioned with pennies collected by local school children. The 10’6″ [note: use foot and inch marks, not quote and apostrophe] bronze statue was sculpted by American artist Gaetano Cecere (1894-1985), and dedicated in 1934. On Labor Day 1986, the statue was rededicated on the new bridge through the Veterans Board and Milwaukee Building and Trades Council. Each of the four sides of the granite pedestal bears engravings: Abraham Lincoln 1809-1865 President, Emancipator, and Martyr; this quote from his second inaugural address on March 4, 1865: “With malice toward none … and with all nations”; and four quotes honoring Lincoln. In 2014, the War Memorial Center accepted the challenge from documentary film director Ken Burns to “Learn the Address” to commemorate the release of his film, Gettysburg Address. 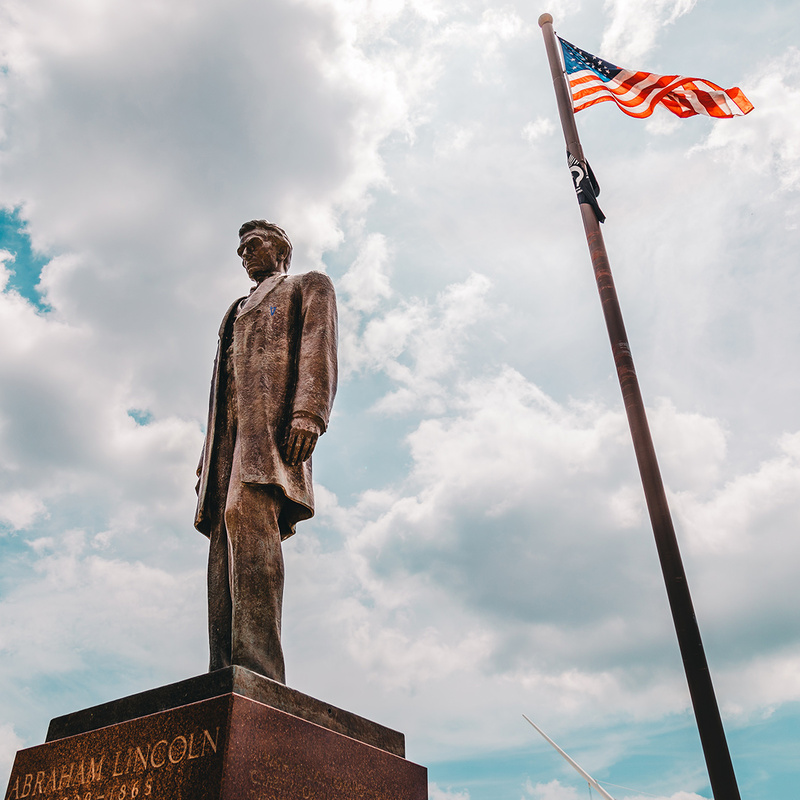 A group of local business people, students and community members assembled in front of the War Memorial Center Lincoln statue to recite President Abraham Lincoln’s famous 10-sentence summary of his view of the Civil War.